There’s good and bad news from people who are looking to raise money for virtual-world related projects through Kickstarter-style projects. Firstly, the good news is that the Wall Street Journal has picked up on Tony Dyson and Chantal Harvey’s project, the new range of eBooks for Children, the BobbeKins – which I wrote about here: Supporting BobbekinWorld – a new case use for Second Life. The article focuses on Tony’s server choice and while it’s a great plug for the product too, it’s a real shame there’s no link to Netdreamer Publications (see? that’s how you do it, WSJ!) or to the Indiegogo initiative to raise funds. I’m all for built in redundancy, me (as regular readers may have noticed) but hopefully the article will lead to people following through to find out more. At the time of writing, they have raised $744 of the $15000 they are hoping for, with 48 days left. You can see more – including a great video – on the Indiegogo page. And here’s wishing them every luck with it! Another initiative is coming to its end, and, sadly, seems unlikely to raise its funding – a real shame, I think, as it’s an interesting project. Well, it inspired me to relaunch The Quest for the Golden Prim, and Darren Greene, who is behind it, has been of great help to us in thinking through the technical side. 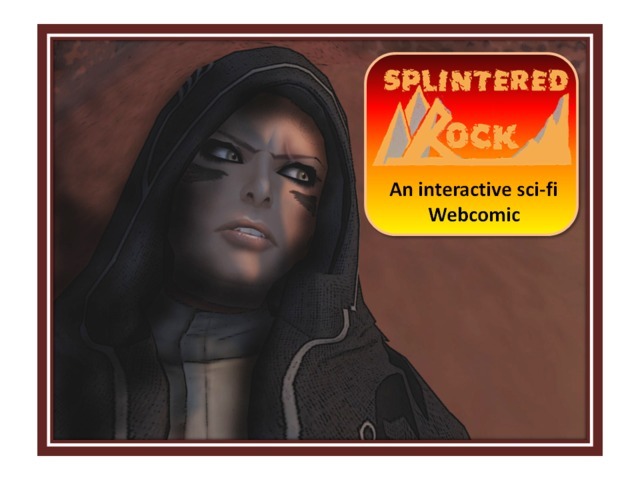 He has been raising funds for his own webcomic, Splintered Rock, and using Kickstarter to raise £350 (US$545 approx) to enable him to work on a second chapter, as I wrote about here: Be part of the adventure of Splintered Rock. So far, it’s raised £170 (Around $264) so, with two days to go, he still needs to raise just over half. I hope he makes it. I’d love to find out What Happens Next in his story! At some point, I’m going to look at these kind of projects in some detail, perhaps a Prim Perfect article. What do people think? What’s been their experience? Thank you for the write up about our Bobbekins project!